This Short Report Reveals a 'Hidden' Way to Dramatically Improve Your Game and Discover Something That Virtually No One Else Does or Even Knows About..."
ouldn’t it be great if there were some simple techniques you could use to improve the way you play badminton that only took a few minutes a day and you could even do them in the comfort of your own home? Of course you would, who wouldn’t. Hit devastating smashes and powerful backhand clears to keep your opponents under pressure and you in control. Wear your opponents down... whilst they'll be struggling to keep up, you'll still be as fresh as when you first stepped out on court. Create a stable core to ensure pinpoint shuttle placement on every shot, so you hit more winners and cut down on needless mistakes. Virtually eliminate 'next day' pain... no more back ache, shoulder problems or elbow soreness. Congratulations on your new training program, I’m impressed. I love the way you have included training exercises for all of the areas used in badminton. Shoulders, Core, Flexibility, on court and I especially like the forearm routine, really great for anyone who doesn’t have power in their shots. The exercises are really easy to follow and the photos make it simple to understand. All round a really good training program, I think you’ve done an amazing job. About 4 years ago I joined a badminton club and started what has been an incredibly rewarding but also a very frustrating journey for me. There’s been many times when I’ve thought about giving up because of my frustration that I wasn’t improving fast enough. It was never my fitness that I had an issue with, just technique. Obviously I realise that you have to take time to learn and practice new ways of doing something, especially anything as skillful as badminton. Nevertheless I still got frustrated and impatient. But I kept going and still play regularly to this day. Anyway, around the same time that I started playing, a friend of mine also began to play. If I’m honest he was far more technically skilful than me. He could hit great smashes and was very quick around the court. But the biggest problem he had was he just wasn’t fit enough. He was overweight and had no stamina. So if a point went on for more than three or four shots he would start to struggle. To cut a long story short, he did get a little better as time went on, but he never lost any weight or did anything to improve his fitness. He simply honed his on court skills. Now I’m far from an intelligent or strategic player, but I knew that if I ran him around for a few points he’d start to tire and his shots would suffer... and sure enough they did, every single time. Unfortunately he ended up giving up playing badminton a while back which was a real shame. The main reason for this was due to the fact that he felt he couldn’t seem to progress any further and was getting incredibly frustrated about not being able to beat players that he knew he was better than. The sad thing is that if he’d spent just a little more time on his fitness and improved his diet, he’d have been the best player I knew by far. Poor fitness really can have a dramatic effect on your ability to play badminton, but more importantly your potential to get any better. So if you’re stuck in a rut at the moment and just can’t seem to get any nearer beating the players you always lose to, then improving your badminton fitness could very well be the answer to all of your problems. Instead of Reaching or Stretching and Hitting ‘Hopefuls,’ You’d Be in Exactly the Right Place to Hit ‘Winners’ Every Time! Don’t you think you’d win more matches and be admired by other players if you were stronger, fitter and could keep going right to the end of every game? Whilst it’s true that badminton is a very skillful game, the fact is that it’s also a very physical game too. And the better you are, the fitter you need to be. Even at Grass Roots Level, Being Fitter Will Dramatically Reduce the Amount of Shots You Miss and Increase the Number of Winners You Hit! Powerful enough to hit a devastating winning smash. These are just a few examples of how being unfit can negatively affect your game. But when you're fitter, stronger and more agile you really can dramatically improve the way you play and because of this you'll dominate games and win more matches. Perhaps one of the biggest benefits of being fitter and having more stamina is the fact that you’ll be able to keep going to the end of every match or practice session. I’m sure you’ve played against players who didn’t look particularly fit and out of shape. You’ll have seen it yourself when you’ve hit a shot over their head, if they just flail an arm wildly at it, without trying to get in to position to hit it, then you know that person doesn’t have the fitness to play the best badminton possible. Meaning they’ll try to exploit YOUR lack of fitness, speed or strength of return. They'll just stand there waiting mid court ready to blast the shuttle straight back at you and put YOU under more pressure! Having read your fitness training manual, I am very pleased with the exercises you have added. Many of these will help players to be much better and faster. You have a lot of information in the program about why the exercises are done, which I like. I am in no doubt that if the exercises are done often, they will make a difference to any players game, improving arm strength and general fitness and stamina. I have found it to be a very good program and interesting to read. It was also very easy to download. P.S. The bonuses are very good also. I think players will learn a lot from them. Thanks for the manual, very impressed, can't wait to get started. Now I feel confident that following the program, I can greatly improve my badminton and also become much fitter. I will keep you posted as to my progress." It’s not about learning a new skill or adopting a different way of thinking. You don’t have to hope you’ll be able to get to shots, you KNOW you’ll get there. So whilst it will be great for you to get fitter and you’ll see some improvements in your game for sure, you’ll reap the biggest rewards and see vast differences to your game if you follow a fitness program specifically designed for badminton players. My name is Jago Holmes and I’m the writer and creator of this NEW and unique, cutting edge badminton training system which I'm about to tell you about. 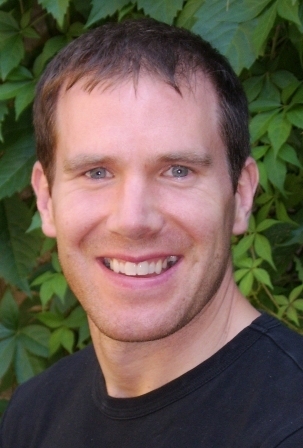 I’m a well respected, experienced and certified personal trainer working in Halifax, UK. It's a job I’ve enjoyed for the last 10 years. I am a published author on many health and fitness related subjects and have produced a number of training manuals for many types of clients. As a working personal trainer, I’m fortunate that I work with a wide spectrum of clients from those that want to lose weight or build muscle right through to those that want to improve their sporting performance, such as badminton players. So as a passionate badminton lover myself, I was delighted when I was asked to write this badminton training manual, because it meant that I could spend a great deal of time analyzing the ways that badminton is played. It took me over 6 months to research, create and test the information in the manuals but it was a pleasure to do because it highlighted many areas of my own game that I could and did improve on. I personally use many of the techniques to continually improve my own game. When writing the programs I wanted to cover every possible angle that could make a difference to anyone that plays badminton. Some people might argue that there is just too much information in the manuals, but I disagree. The way I’ve written them is very simple to follow, but I’ve also included the technical reasons why the exercises and movements have been included for those who want to develop a deeper understanding of their sport. What I Wanted to Create is What I Would Describe as a ‘Secret Weapon’ For Anyone Who Uses My Techniques to Gain an Unfair Advantage and Unleash the Effects on to the People They Play Against. IT HAD TO GIVE NOTICEABLE RESULTS TO THOSE WHO USE IT. The best thing for me is when clients tell me not about the results they see, but the comments they get from the people they play against who see a big difference in their game. I’ve put my heart and soul in to this badminton fitness training system and I’m very proud of what it can accomplish. So much so that I fully and unconditionally guarantee that it will improve your game... I have absolutely no doubts about that. 'How To Get Fit To Win' is a complete badminton fitness training system, a collection of 8 completely different routines targeted at the very specific needs of badminton players. The programs range from developing forearm power, to improving flexibility, right through to building greater core strength and stability. The workouts can be used together to improve your entire game or you can simply use the individual routines to focus on improving your weakest points. For example if your smash isn't as powerful as you'd like, there's a section on developing the strength and flexibility in the appropriate muscles to generate a smash like you've never hit before. You'll find a wealth of techniques and training tips that anyone who plays badminton can benefit from. From the elite at the top of the game to everyday club and recreational players... everyone will see improvements from using this program and being fitter. Because many of the exercises can be done at home or outdoors for free, you’ll also save both time and money, you won’t have to drive halfway across town to the gym ever again or spend a fortune on buying new fitness equipment. If it's Not in Here, Then You Probably Don't Need it! Because the routines can be done at home, you can use everyday household objects to help you do the exercises instead of buying new stuff which saves you even more money. How to decide which areas you need to work on the most. If you’ve got a weak back hand, then you need to strengthen your forearm muscles. If you’re slow to the front of the court, then build more power in the legs... whatever you need you’ll find in this manual. A 113 page manual that you can print out and take with you anywhere you go, so you never have to worry about forgetting how to do a certain exercise. The Mechanics of Hitting a Shuttlecock and the Way Badminton is Played, Requires a Very Different Training Approach Than Any Other Sport There is. A good training program needs to consider the types of movements involved and the way shots and rallies are played and then work on improving the ability of these areas thoroughly. For example did you know that worldbadminton.com suggest the average rally length is 6 - 7 seconds with approximately a 15 seconds rest between points and in a typical match which lasts on average 45 minutes, a player will run approximately 1 mile. This isn't snooker we're playing here, badminton is a physically demanding sport! Even if you don’t play competitively yourself, you’ll see a big difference in the way you think about the game once you’re fit enough to cover the court easily. Instead of playing defensively, your power and energy will automatically turn you in to a much more attacking player. If you’ve ever played against anyone with these obvious strengths you know how difficult they are to beat. Of Course They Are, They're Stronger and Fitter Than You. That's Just The Natural Law of Survival Kicking In! The great thing about badminton is that you don’t have to be a certain size or shape to be a better player. To play rugby well, you need to be very muscular and powerful, to be a great long distance runner you need to be lean and wirey. But to be a good badminton player, you don’t have to conform to being any particular shape. But you do need to be physically fit and razor sharp and this training manual focuses on these aspects to help you to become a better player. Exactly how to do the movements right! Each exercise is clearly explained with easy instructions so you can see exactly what you should be doing. This means you’ll make rapid progress and minimize the chances of picking up injuries. Over 145 photos of badminton specific exercises that you SHOULD be doing - If it's not in this manual, then you don’t need to do it! And what's more, you can download all the eBooks instantly on to your own computer which means that within a few minutes from now you’ll have everything you need to become a fitter and better badminton player. "To coin a good old Yorkshire saying ‘You’ve hit the nail on the head’ with this book. Many sports manuals and related books are all activity related with perhaps the a chapter on stretching and body movement within the particular sport. Here, I think you are looking at training yourself to be physically fit to play Badminton or indeed any other sport. This is a novel and, in my mind, a perfectly sensible way to prepare your body for the physical activity of Badminton, be you a relative novice, club player or for that matter an elite player. As someone who has Coached, trained and advised people in playing Badminton for more years than I care to remember, one of my first principles behind Badminton is movement, or use of the feet. If you can’t get to the shuttle then no amount of shot-playing drills or tactics will be the slightest good to the you. This is where your manual is of greatest benefit, creating a fitness through strength, stamina and flexibility to enable someone to move around the Badminton court and then play that all important shot. Remember my advise to you when you thought you were’nt playing particulary well. Use your strengths, which is primarily fitness, keep the rally going, wait until your opponent tires or makes that crucial mistake through being tired, then make that winning shot. Any rally over 30-45 seconds long will be a hard one, those lasting over a minute are ‘killers’, it’s either you or your opponent. How much do you want to win……………. Follow this manual." I don't want you to simply be pleased about your purchase, I want you to be delighted with it! This manual contains simple menus, shopping lists and quick snack choices in a day by day format, to ensure that you are feeding your body the right types and amounts of foods essential for fueling your training and assisting your rapid recovery after playing. Find out a simple but time tested way of eating which guarantees you eat a constant and regular supply of nutrients so you avoid the normal peaks and troughs of energy highs and lows throughout the day. You' ll learn some great tricks to make healthy eating as easy as child's play that are quick and simple to do even on your busiest days! The #1 biggest mistake most people make by NOT getting enough of this important nutrient and why doing this simple thing each day will improve the quality of your hair, your skin and energy levels 100%! A step by step eating system that includes shopping lists and daily menus, leaving you to eat on auto pilot, no need to worry about what you are going to eat, it's all been planned out for you, it couldn't be easier! 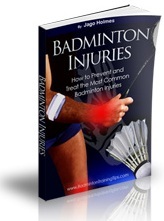 A mini encyclopedia of the most common injuries and niggles that badminton players regularly suffer from. What they are and how to avoid suffering from them, plus some simple and practical guidelines to follow so you know how to treat any injuries you do pick up. What to look out for so you don't play through certain injuries, whilst others may be safe to simply work through with no problems. How quick and appropriate treatment of certain injuries can radically reduce recovery times or at least cut down rehabilitation time dramatically. I thought this might be a really great bonus for you. 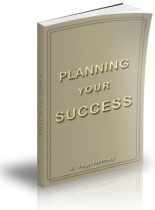 It's one of my favourite training guides and will help you to plan, organise and start your very own running program. Running is a very good way to build up your fitness levels so you have more energy and stamina both on court and in everyday life. But the problem is that most people don't know how to get started properly, so they end up giving up too soon without noticing any improvements to their fitness or seeing any benefits at all. 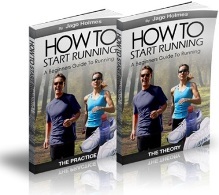 'How To Start Running' is a complete guide to running for both beginners and experienced runners. The advanced techniques and training tips you'll learn inside will change the way you approach running forever. Inside this great free bonus, you'll learn how absolutely anyone can instantly boost their metabolism by making just 3 SIMPLE changes to their lifestyle. Find out ways to burn calories even at rest and why doing some exercises will leave you feeling frustrated at your body's ability to melt away body fat. You'll discover the secrets to eating more and weighing less, how some people never seem to gain weight whilst others will always have a weight problem. 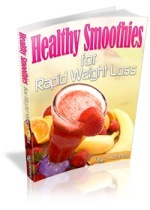 Discover over 50 of the most mouthwatering, delicious smoothies ever created. Recipes that contain some of the quickest and easy to make drinks, made in just a few minutes, ideal for drinking straight after practice. All the recipes have been selected because of their healthy balance as well for their combination of flavours and textures. This handy guide helps you to draw up a plan of action which ties in nicely with your badminton fitness schedule and motivates you in to achieving realistic short, mid and long term goals. 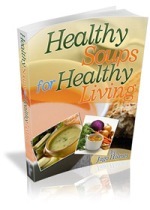 In this great little eBook you'll find a range of tasty and nutritious recipes which are both easy and quick to prepare... exactly what you need when time is short. 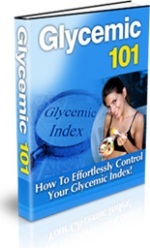 Inside you'll discover exactly how to eat correctly, to support and maintain healthy blood sugar levels and how the peaks and troughs in your blood sugar can leave you craving the worst types of junk food. Okay Jago, This Sounds Like Something That I Can Benefit From, But How Much Does it Cost? Getting fit is always going to cost you something. So, let's just do a quick comparison. The last time I checked, the cost of buying a treadmill would set you back well over $1,000.00. And virtually everyone I know who bought one used it at first but after a few weeks simply used it to hang their clothes over. It was left to gather dust. Or you could easily pay $75 - $100 bucks per month for a gym membership which you'll maybe use a few times (that's over $500.00 per year for that alone!). Or you could hire a personal trainer like me to work with you. But at a cost of over $75.00 per session, you’d quickly run up a bill of over $300.00 a month, for only four workouts, after that you’d be on your own. You can use the techniques time and time again. But you won’t have to pay anything like this amount or even match my minimum hourly rate of $75.00. In fact, your total investment for this entire system is just $149.99 $75.99 $37.95. That's less than the cost of a very cheap night out! And how many gyms have you been to that give you a 60 day money back guarantee? By the way I think I should just mention that this system is TOTALLY NEW, it isn't available anywhere else and I'm testing the price at the moment. $37.95 is the lowest it will EVER be, but I'll be running a $67.99 test next, so when you visit again it may well be the higher price you'll have to pay. To make sure you get it at this price you have to act now. Well, it's really very simple. This way the savings can be passed on to you. So you win because it’s much cheaper and you can get it instantly and I win because I don’t have to worry about processing and packaging orders. So I can still carry on doing a job I love doing – personal training. And better still, you really can't lose with my 100% full money back, "no questions asked" guarantee. I say "you can’t lose" because every one of the 8 bonuses are yours to keep even in the unlikely event you decide to ask for a refund. I know this system is so different and so effective at improving not only the way you play badminton, but also for improving your general fitness and shedding a few pounds too! But of course you don’t know that yet. That's Why, I’m Giving You the Opportunity to See for Yourself By Trying the Program Entirely at My Risk. What I'm saying is, don't decide now if this product is right for you. If it doesn't do everything I say and more, you have absolutely nothing to worry about because you can get every cent of your money back. No questions asked, no hard feelings and no hoops to jump through, I'll refund your order with a smile! Doesn’t that sound fair to you? A few quick techniques you could fit in to every day life that will bring you almost instant results. Well now that I've shown you the way 'How to Get Fit to Win' can help you and you know about my experience and credentials for writing a program like this, it's time for you to make up your mind. Just to recap. 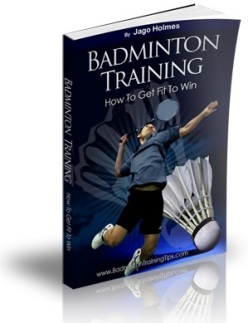 When you place your order now, you'll get this cutting edge Badminton training system which includes 8 completely different badminton specific workouts to improve every possible area of your game complete with detailed descriptions of all the easy movements and clear photographs showing you exactly what to do. By the way, don't worry, they're easy to download. I’m no computer genius but I can do it no problem. And they work on both MAC’s and PC’s. Aren't you tired of not seeing any noticeable improvements in your game, wouldn’t you love to have that extra edge on your opponents? If so 'Badminton Fitness - How to Get Fit to Win' could be the answer you're looking for. And remember that most of these exercises can be done in your own home or outdoors, which means you can literally start them straight away... so the next time you play you’ll already notice some improvements. I know which option I'd choose. Either way, you have my warmest regards. You'll be surprised at how quickly you begin to see the changes in the way you play, the power in your smash, the speed that you reach net shots, the distance of your backhand clears... all these will improve, I guarantee it. But you won’t have to wait weeks to see a difference, because you’ll notice these changes within a few days and the more you do them, the better you’ll get. What’s more, these workouts don’t take long to do. I realise you’re probably very busy and would much prefer to be actually playing badminton, so that’s why you can fit these workouts in to a busy day anywhere and at any time. Clearly you’ll notice massive improvements in your game from using my Badminton training program, but obviously you don’t know this yet. So this is why I want to take away any risk from your part at all. The 60 day unconditional money back guarantee means that you can test, try and experiment with all of the techniques and training tips first and then if for any reason you’re not happy at all, just send me a quick email and I’ll refund your money straight away. Just in case you have any worries about making a payment for the program, you’ll notice that Clickbank is the secure payment processor that I use. There are two main reasons why this is good for you. Firstly they're a long established, highly trusted and respected payment processing company and secondly they operate their own independent back up 60 day guarantee which we as authors have to adhere to. This means whatever you buy through Clickbank is fully guaranteed. But don’t worry about that because if you have ANY problems whatsoever, you’ll find I’ll respond very promptly to your email and do my utmost to help you in any way that I can. I’m genuine and so is this offer. There's one last thing I want to clarify. With this offer, you get the main training manual - 'How to Get Fit to Win' with 8 different badminton specific programs designed to improve every part of your game AND all of the great FREE bonuses, in themselves worth over $150.00 all for less than the price of a cheap night out. That's just $149.99 $75.99 $37.95 for everything. 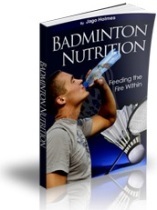 PLEASE NOTE: 'Badminton Training - How To Get Fit To Win' and all the bonus eBooks are downloadable eBooks. Once we've received your payment, you'll be sent details of a secure page where you can access your eBooks immediately. You can then instantly download them to your own computer where you'll be able to view them on screen or print them out for your own use.